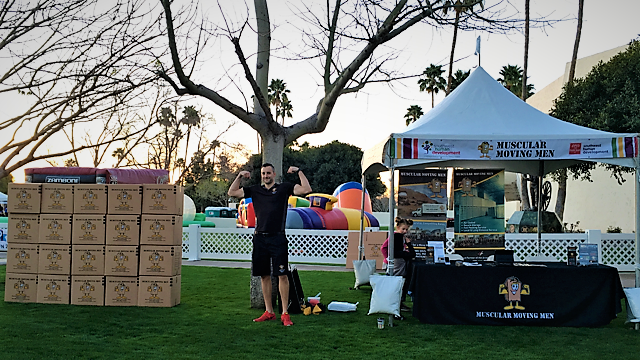 In 2017, Muscular Moving Men donated more than a dozen free moves for organizations ranging from Hope Womens Center to the Glendale Police Department. 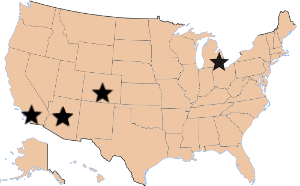 After touring the facilities of each company, it became apparent that it was not a question of whether or not to get involved, it became a question of when. MMM takes pride in completing the Hope Womens Center transition to their new facility. This particular group shelters young mothers and other women in need be mentoring them in exchange for earning credits in their clothing and essential needs shop. The Glendale Police Department Special Victims Unit has a huge undertaking when it comes to keeping families and children safe in the community. “Unfortunately families and children are still victims of domestic violence. It makes me sick that families, especially children, have to be put through a violent upbringing. I was appalled to hear some of the stories that the Police Department shared and I was eager to get our company involved. Starting in 2017, we made it a policy to donate a free move each month to relocate high risk families from abusers and get them into a safe home,” said Justin Hodge Co-Founder of Muscular Moving Men. Since 2014, Muscular Moving Men has been a supporter of Phoenix Children’s Hospital, donating service each year to the annual Toy Drive. A team from MMM shows up on two different days to help collect the generous donated toys by Phoenix residents by the truckload. “The looks on the children’s faces was what made it all worth it. We are so proud of our ongoing partnership with the great staff and patients of PCH. I know what it’s like to have children in the hospital and it you cannot measure the improvement that a child’s quality of life receives with a wonderful toy, a smile or just spending some quality time,” said Justin Hodge Co-Founder of Muscular Moving Men. Starting in 2012, MMM began partnering with the great staff at Big Brothers Big Sisters of Central Arizona and CBS5-KPHO. 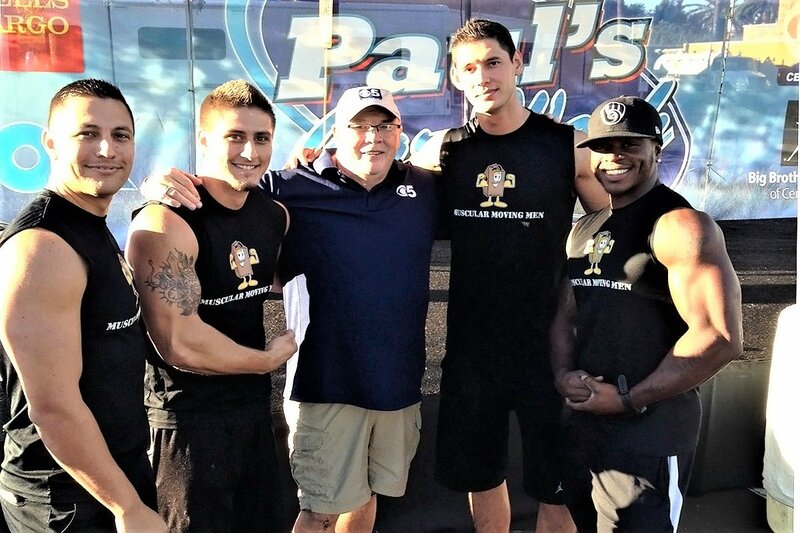 Paul Horton, anchor of CBS5 generously donates a week of non stop car washing to raise money for children during Paul’s Car Wash. The team from MMM shows up before dawn with brushes in hand to scrub for a great cause and flex some muscles at the same time. 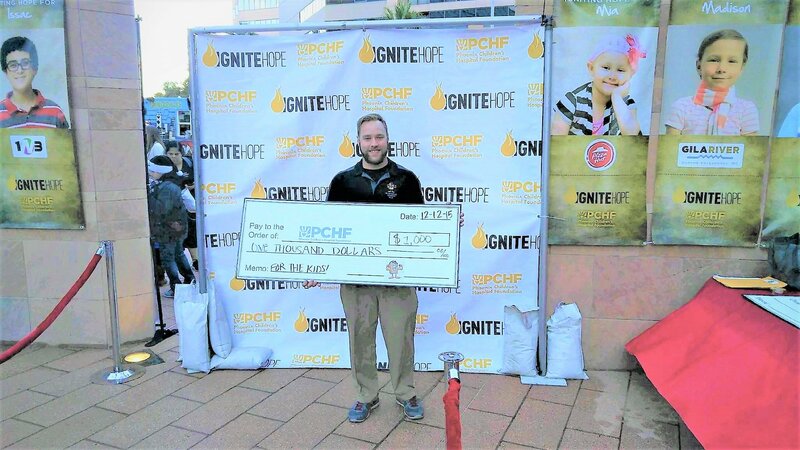 The annual tradition has grown and to date hundreds of thousands of dollars have been raised by businesses and individuals of the Phoenix, AZ area. Paul Horton and the team from MMM routinely take the “Raw Egg Challenge” in which the guys drink an egg on camera to help energize the troops and wash more cars.